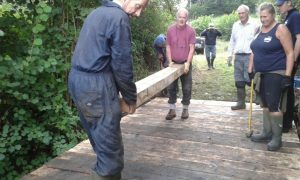 Southern Water Volunteers day – a team from Southern Water helped at our Tuesday Work Session. We are often asked for advice on walks around the reservoir. 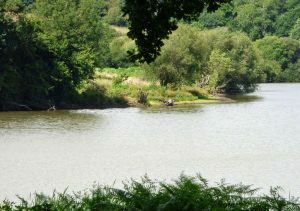 Please see HERE for details and maps of walks around Weir Wood from Fancy Free Walks. We hope it may be helpful but we do not take any responsibility for the information. 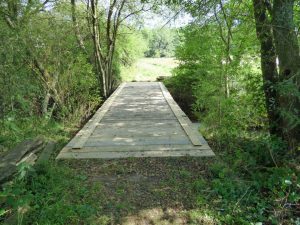 A report on our members walk – including photographs and a full bird list – can be read by clicking HERE. 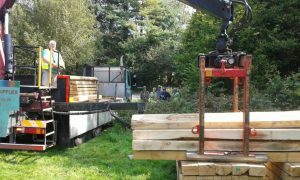 We have set up a public Facebook group called “Friends of Weir Wood”. The web address is www.facebook.com/groups/weirwood/ you can navigate to it by clicking HERE. 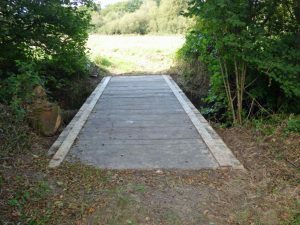 It is intended for all supporters of the nature reserve. It will have wildlife sightings, photos, news, events, suggestions and comments. Please contribute (but remember that it is a public space). If you use Facebook please request to join the group – then you will receive updates and reminders automatically. We hope you will like it and find it useful. On 12/8/16 a moth box was put out in Whillet’s Meadows and this micro moth was captured. 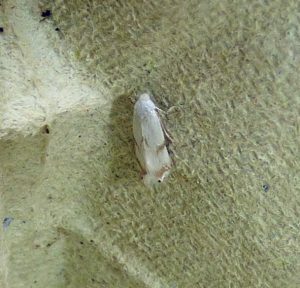 It has been confirmed by the County Moth Recorder as Pseudopostega crepusculella – a species which is Nationally Scarce and has not been seen in Sussex since 2009. It has never been reported in the North of the County. Although only 5mm long and not an impressive looking moth; it is our first “Nationally Scarce” moth record for the Nature Reserve. Bob Johnson ran the trap and arranged the identification. Osprey Sightings 2016 – LATEST 15 OCTOBER. Saturday 26 March 2016 – Osprey at the West End. Sunday 27 March 2016 – Osprey seen on 6 occasions during the day at the West End. See “Photos” for more pictures. 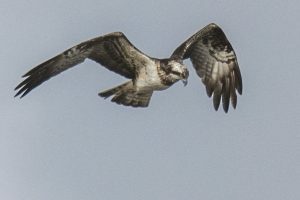 Thursday 31 March 2016 – Osprey at the Dam End; reported twice during the day. 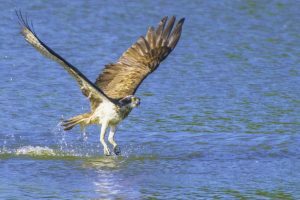 Saturday 02 April 2016 – Osprey fishing at the Dam End at 16:15. Sunday 03 April 2016 – Osprey caught fish near the North Bank. Tuesday 05 April 2016 – Osprey flew from Pintail Woods to North Bank then headed North (13:05). 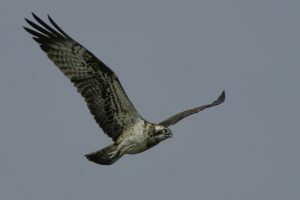 Wednesday 06 April 2016 – Osprey seen at both Dam and West Ends (15:30 to 16:15). Between Pintail Bank and the hide (18:00). Tuesday 12 April 2016 – Osprey seen in the morning. 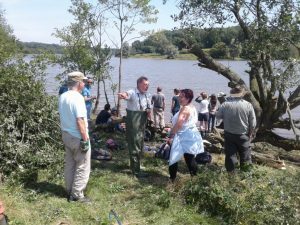 Sunday 24 July 2016 – Osprey caught a fish at the West End and flew towards Admiral’s Wood (11:15). Osprey 26-07-16 by Bob Johnson. 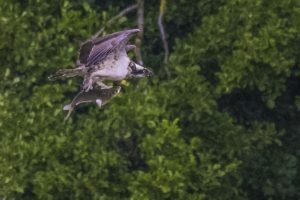 Wednesday 27 July 2016 – Osprey at the West End. Monday 15 August 2016 – Osprey at West End. Tuesday 16 August 2016 – Osprey caught fish at West End about 09:15. Sunday 21 August 206 – Osprey fishing about lunch time. Tuesday 23 August 2016 – Osprey seen several times between 11:30 and 17:15 at Whillet’s and the West End. Wednesday 24 August 2016 – Osprey seen twice at 08:37 and 09:42 from West End car park. 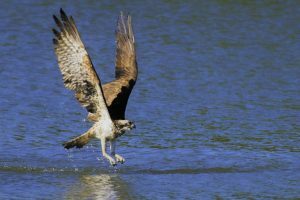 Thursday 25 August – Osprey fishing 16:15-16:30 when it caught a small fish at the West End. 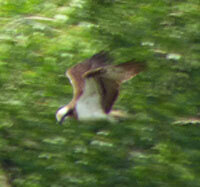 Saturday 15 October – Osprey at West End (see Photos).